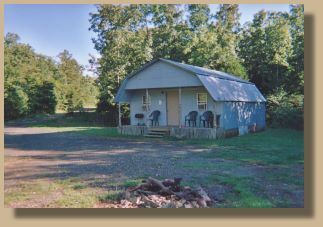 Cabins for rent in Mena, Arkansas near the Ouachita River. and the Ouachita River for fishing, swimming and canoeing. 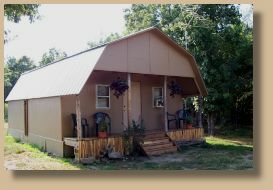 Our Cabins are located just a few miles East of Mena, Arkansas. 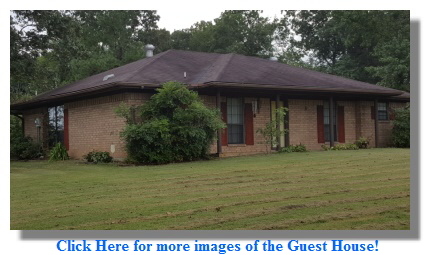 3 bedroom, 2 bath, full kitchen, washer & dryer - enjoy the library and watch movies (dish to come). Highway frontage & easy access to Ouachita river, fishing pond & our 4-wheeler trails and don't forget arrowhead hunting. Prices starting at $150.00 per night. Click Here for more images of the Renegade Cabin! Limit 8 people per cabin. Pets considered on a one to one basis with a small pet fee. Campfire wood available on request. Coming soon! Ranch Guest House! All Major Credit Cars Accepted! We are open 7 days a week by appointment. Please call ahead as this is a working Ranch.